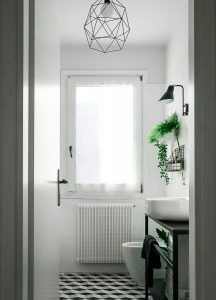 My idea for the new bathroom was for a very simple and minimalist space with just two colours. 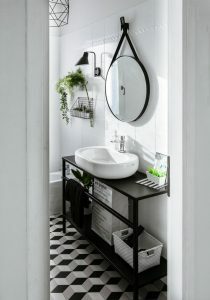 Black and white design works very well in a small space. 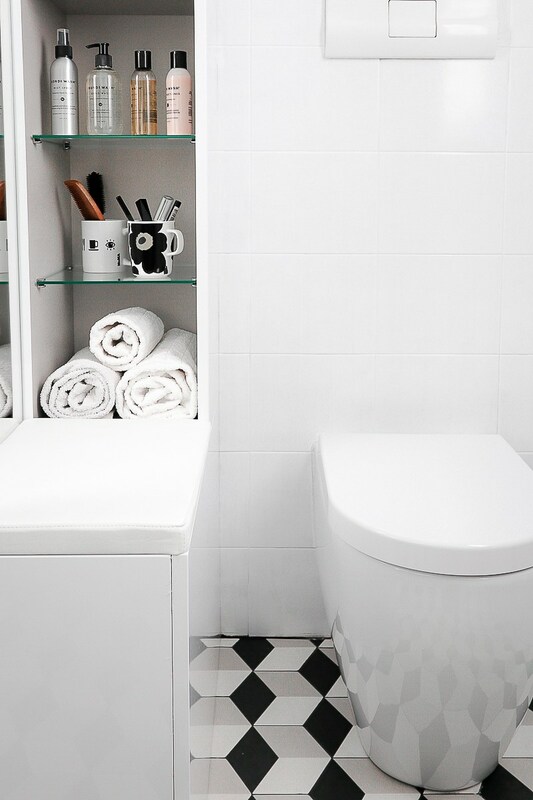 Indeed, white helps to visually enlarge the space, while black adds some character to the space. 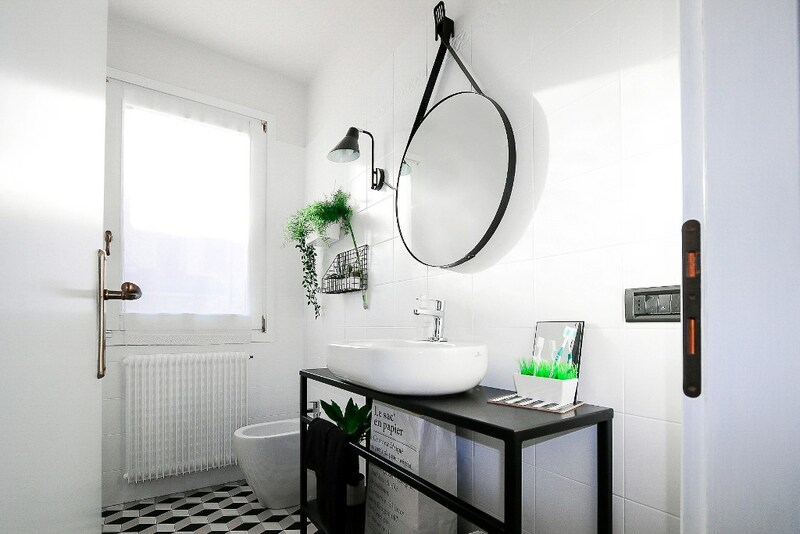 I also thought about adding some green to make it cosier, because black and white can be really cold. I chose this Tonalite collection because it was exactly the tile I was looking for. 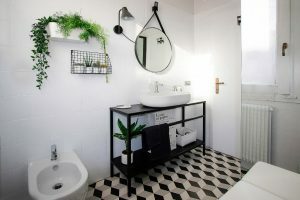 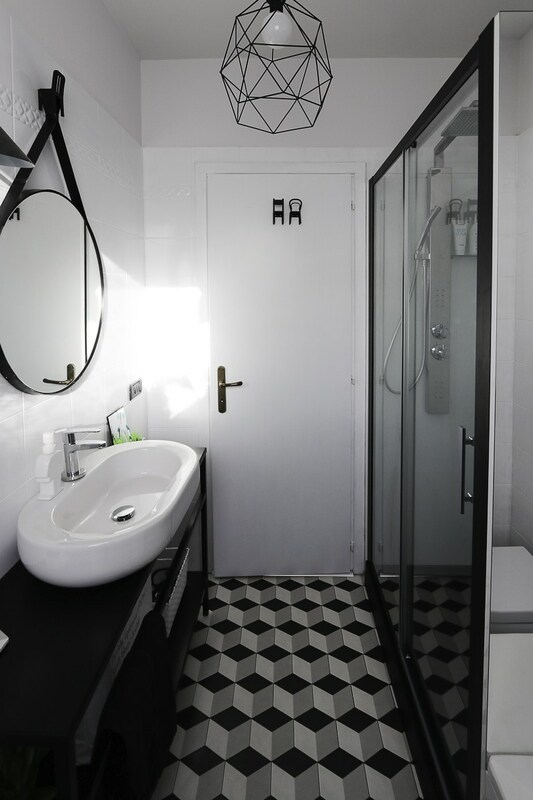 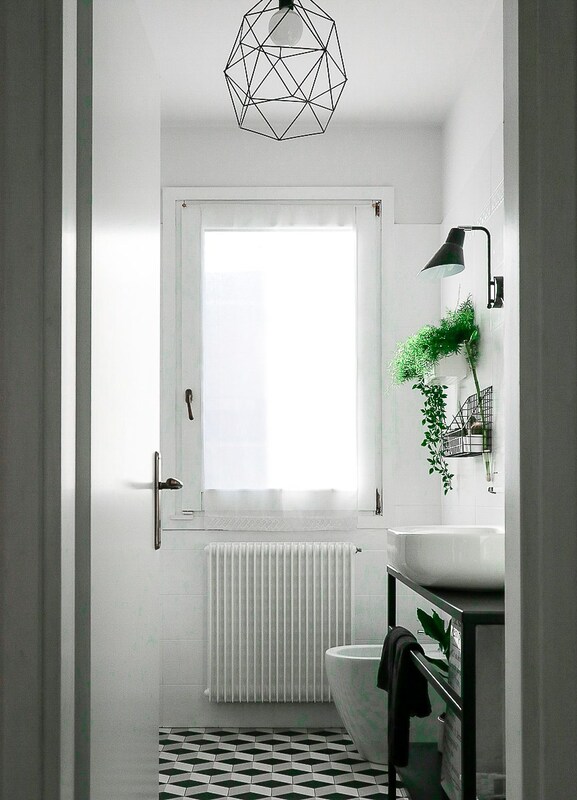 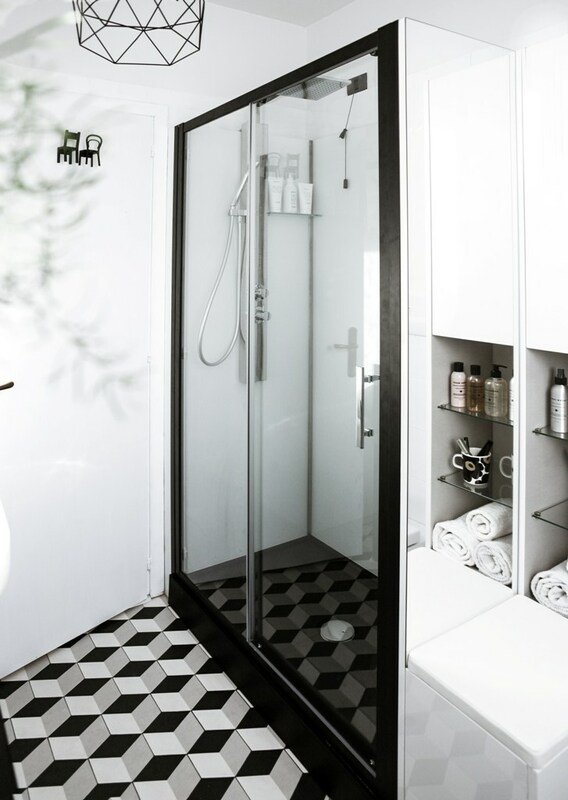 In fact, for my project I wanted a tile with a very strong geometric effect, with a contrast between black and white, and also I was looking for an hexagonal one but in small size because my bathroom is quite small. 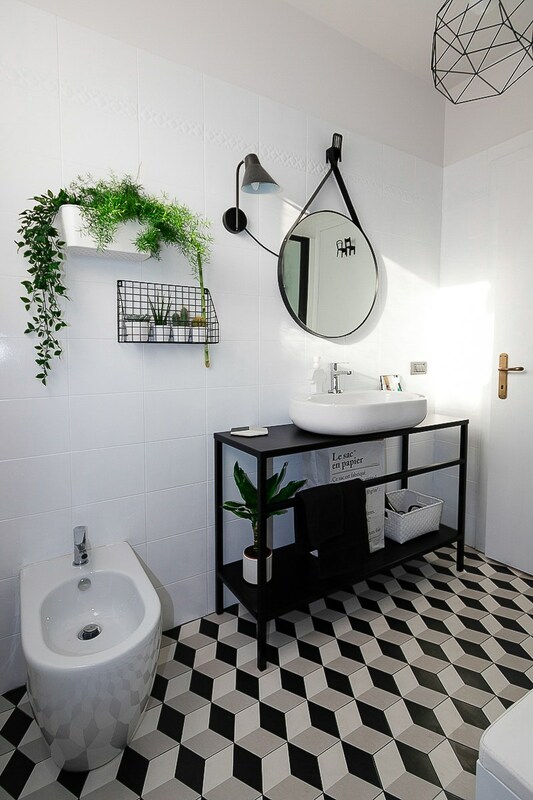 We didn’t want to change the wall tiles, so I looked for some creative tiles for the floor. I looked for some 3d effect tiles in black and white, Examatt Tredi Grigio, to add some pattern in the room, actually it is the only decorating element but a visually strong one. For the walls the idea was just to paint them with a specific varnish in polished white, to transform old pinkish tiles in new white ones.